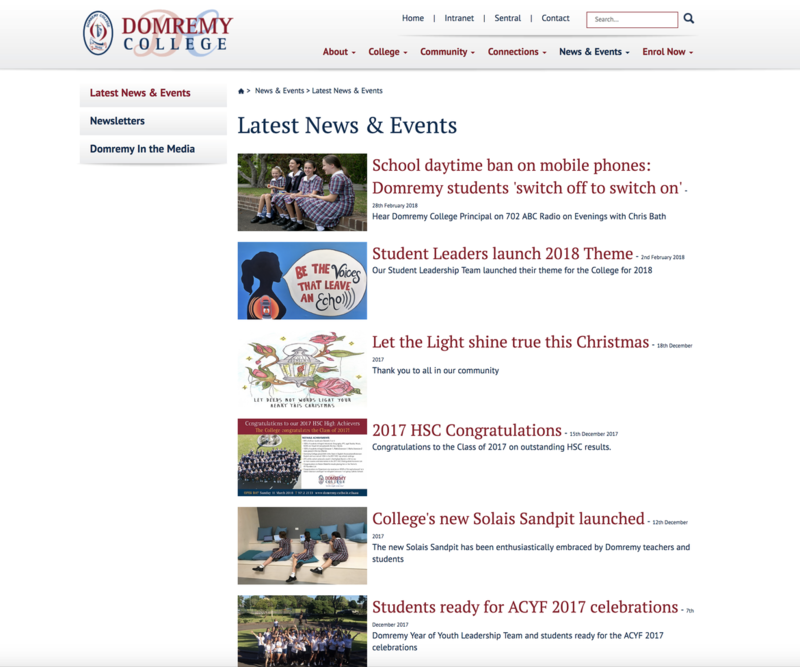 Domremy College approached Telligence to migrate their website from a decripted system to our Powersites CMS. 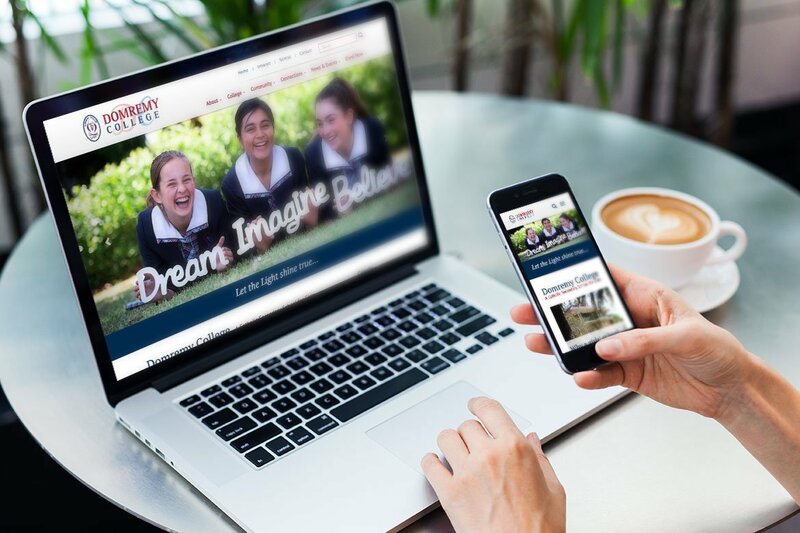 They had a content heavy website were the team got to work on importing their exisiting content from their website to the Powersites platform and enuring that their SEO links were not going to be lost. 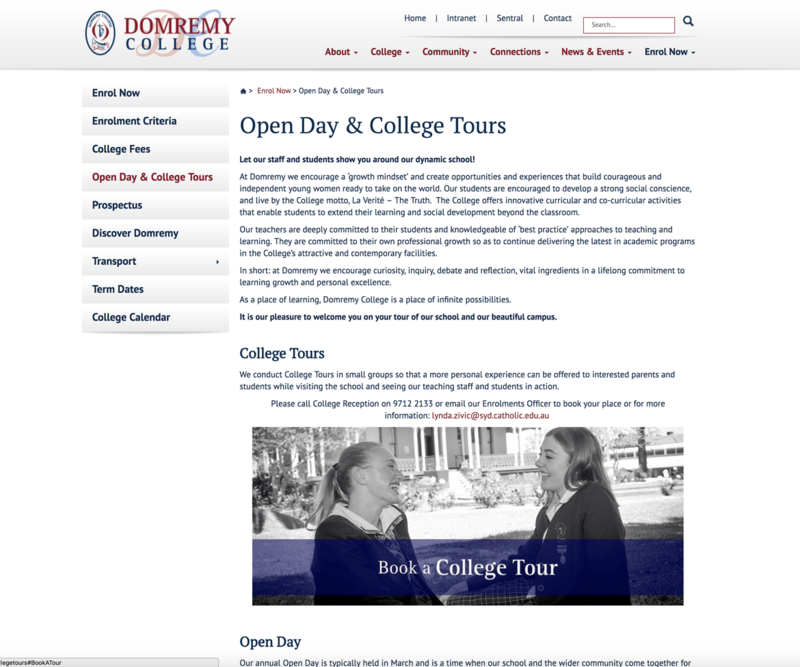 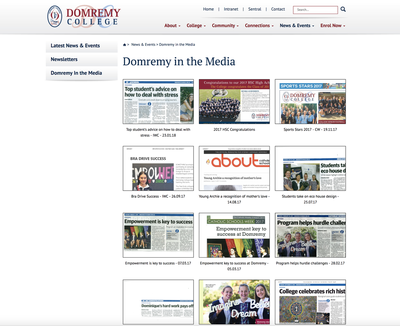 Domremy College use many different collaborative tools to communicate with staff, students and parents and needed a website that would allow all of this to be accessed from one spot. They also wanted to showcase their great school and share their experiences through an easy to navigate website. With a look and feel in mind, the team at Telligence designed a new look for Domremy College and ensured to make the whole site looked uniformed and that it was always easy to know where you are and to access the important areas of their site with ease. 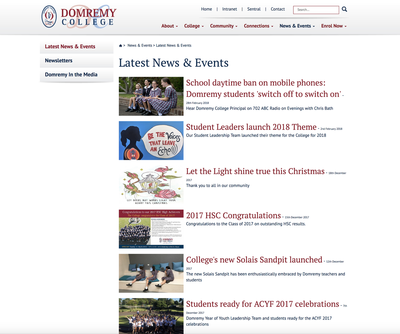 Please have a look through Domremy College's website just to see how complex the content is and how easy it is to navigate through it.